A recent application at the Supreme Court illustrates that danger in allowing anyone to use your car. In Nagra v. Cruz, 2016 BCSC 2469, a plaintiff was injured in a car accident in June, 2011. The driver of the vehicle, E.C, had borrowed the car from a friend I. L who had borrowed the car from his brother, J.L. E.C admitted that the accident was caused solely by his own negligence. The plaintiff sought damages upwards of $2 million. When J.L filed his response to the plaintiff’s lawsuit, he admitted that E.C. had driven the car with his consent. 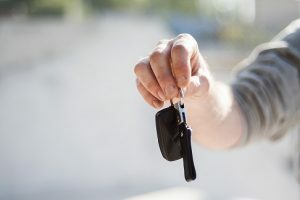 Under section 86 of the Motor Vehicle Act, vehicle owners are vicariously liable for the negligence committed by anyone they lend their car to. The consequence of that admission is that J.L would be liable for any damage by E.C. A 15 day trial was set to begin March 13, 2017. On December 9, 2016, the defendant J.L. brought an application to withdraw the admission that that E.C. borrowed the car with his consent. The lawyers for the plaintiff opposed the application because they prepared for trial on the assumption that consent was admitted. If it were found at trial that E.C. didn’t have consent of the owner, J.L, the plaintiff would be able to recover substantially less as E.C would not be covered J.L’s ICBC insurance coverage. Under Rule 7-7(5) of the Supreme Court Civil Rules: a party is not entitled to withdraw an admission made in a pleading except by consent or with leave of the court. The legal test to be applied where leave is sought to withdraw an admission is whether there is a triable issue which should be determined on the merits and not disposed of by an admission of fact. The overriding factor is whether the interests of justice justify the withdrawal of the admission. The court has wide discretion to grant leave to withdraw an admission. However, the court must consider the following factors in determining whether the leave to withdraw is in the interests of justice (from Sidhu v. Hothi, 2014 BCCA 510). Applying the factors, Master Harper found that the admission was deliberate in that ICBC, as the defendant, has sole control over instructing the defense counsel who prepared the response and as such must also be considered to have knowledge of the fact admitted. She found that the admitted “consent” may or may not be true, but should be determined at trial. With respect to the plaintiff’s allegation of prejudice, Master Harper found that the loss to the plaintiff is the expectation of a greater financial recovery than if the admission had not been made at the outset. However, Master Harper held that prejudice does not include a loss of a possible financial advantage. She further held that if the admission of consent is not withdrawn, there would be prejudice to the driver J.L as a judgement against him which may exceed his insurance coverage through ICBC. She also held the trial was far enough away so that further discovery and information gathering could take place. Ultimately Master Harper found that the interest of justice required that leave to withdraw the admission be granted. Very great post. I simply stumbled upon your blog and wanted to say that I have really enjoyed surfing around your weblog posts. After all I’ll be subscribing for your feed and I’m hoping you write again very soon! Fell out of bed feeling down. This has brtehigned my day!